By registering and/or using your Banjo’s ViP Club card, you consent to the following terms of this agreement. Banjo’s ViP Club Card remains the property of Banjo’s at all times and is not transferable. A maximum of 3 Banjo’s ViP Club Cards can be lost per year before a replacement card cost will be issued. In all matters, all decisions made by Banjo’s Bakery will be final and cannot be contested and the Member hereby agrees to accept such decisions. Banjo’s Bakery reserves the right not to accept a Banjo’s ViP Club card should we believe that the use is unauthorised, fraudulent or otherwise unlawful. Continued participation in the Banjo’s ViP Club confirms your acceptance of these changes. Banjo’s Bakery may discontinue the ViP Club at any time in our sole discretion with no liability to you. If we do so, we’ll publish a notice on our website and/or email you to let you know. 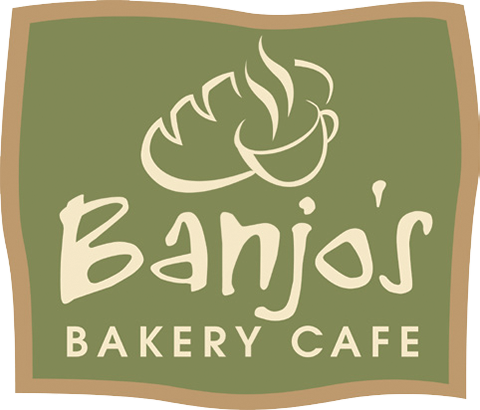 If a Banjo’s ViP Club member has not used their card for a period of 12 months, Banjo’s Bakery reserves the right to terminate their membership. Notification will be provided via email 1 month prior to cancellation occurring and again 1 week prior to cancellation occurring. Once a membership has been terminated it cannot be re-activated and entitlements cannot be redeemed. Banjo’s Bakery reserves the right to remove points incorrectly or accidentally added to your Banjo’s ViP Club card without notice to you. Banjo’s Bakery may offer special offers to some or all Banjo’s ViP Club members from time to time. These offers may include additional terms and conditions. All special offers must be redeemed on the dates specified. Membership will also be terminated if we believe that you have engaged in fraudulent or unlawful activity or failed to comply with these Terms and Conditions. If the Banjo’s ViP Club card cannot operate at any time due to technical or other circumstances beyond Banjo’s control, Banjo’s reserves the right to cancel, terminate, modify or suspend the Banjo’s ViP Club. Banjo’s does not make any warranties or representations to members in connection with any Rewards and expressly disclaims all liability for claims (including claims for indirect and consequential loss) with respect to type, quality and standards of Rewards. Banjo’s Bakery accepts no responsibility for any SMS, email or other mail not received by Banjo’s ViP Club card members or any delay in receiving this information due to technical difficulties or other reasons. These Terms and Conditions apply to Banjo’s ViP Club Card Program in Australia and are governed by relevant laws.